"- But why do they keep shouting 'it's behind you'? - It's because the British like to queue. " What would a traditional British pantomime look like if a group of immigrants tried to write it, direct it and perform it? Well, just about how you imagine it would. Join Dame Foreign, her daughter Zara and their precious cow, Visa, as they strive to stay in the country despite the evil attempts of Lord Villain to deport them, in this new, fast-paced madcap seasonal delight. Expect poisoned apples, marriage proposals, hilarious rescue missions, a singing night bus and a rapping 'Life in the UK' test - alongside razor sharp observations about what it is to be British, how it feels to be a foreigner in the UK, what makes one a local - and what makes a place a home. A short run of laboratory performances: we will have scripts in hand and hearts on our sleeves as we reveal this new musical play for the very first time to an audience. 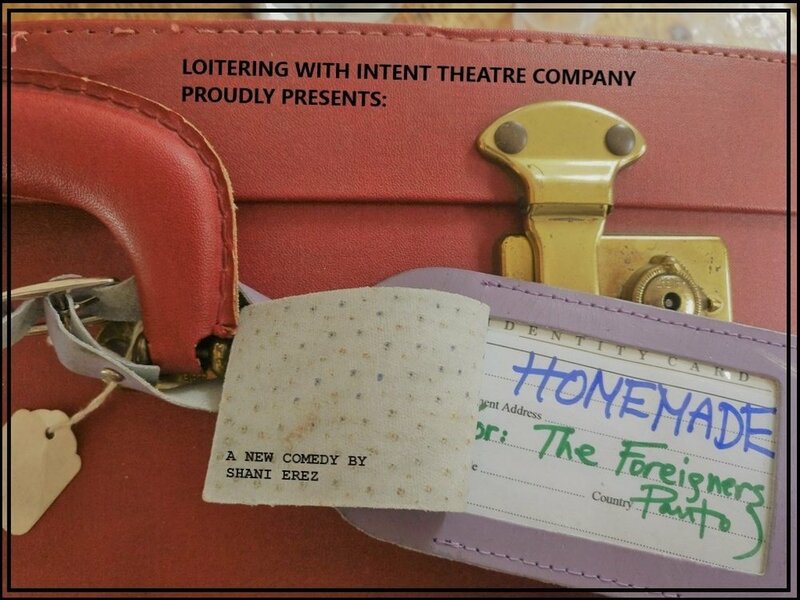 Loitering With Intent theatre company proudly presents Homemade (or: The Foreigners Panto). Show runs 90 minutes with no interval.